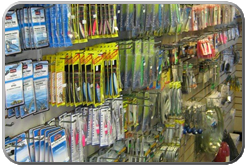 You'll also appreciate our large selection of lures and tackle especially if you're out to catch the big one! Fishing for salmon, halibut or even trapping crabs and prawns, we got you covered. 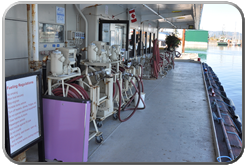 At Discovery Harbour Fuel we are eager to assist you with your marine needs. Even though filling your tank with fuel is our main priority, we provide many other services, making us your one stop marine shop! We carry a large amount of filters, oil and many other engine and marine maintenance items to keep your vessel in top shape.